How to Make Your Portfolio Stable with Kotak Equity Savings Fund? While drawing an investment plan for mutual fund investing, it is really important to take into consideration different aspects of investing. A plan solely designed to earn returns is usually not recommended. Experts and other market genies have always pressed on the notion of creating diversity in the portfolio, so as to equip with the necessary strength of staying firm in the market for long and plough better returns throughout the investments life. Keeping Kotak Equity Savings Fund to your investment bag can prove to be a remarkable value addition. It is a balanced fund, which means it contains both the Equity – which is required for the growth of your funds, and Debt – which is necessary to protect your fund from getting hurt by the market forces. 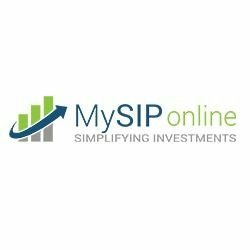 MySIPonline has been constantly endeavouring to find out better options for the investors and teach them better ways of investing in them. One of the things that we strongly recommend to all the investors, whether current or prospective, is to always look out for opportunities of diversification and crystallise them as early as possible. We understand that for an average person, it is not always easy to differentiate between opportunity and adversity. Hence, we have been writing articles, organising campaigns and even making door to door efforts to try and make the common people understand the importance of judicious investment planning. Through this article, we have made an effort to educate people about one of the best balance funds in the market, Kotak Equity Savings Fund (G). Kotak Equity Savings Fund – Regular Plan (Growth) is an open-ended, equity oriented balanced mutual fund that invests in a blend of more than one asset class, typically consisting of Equity, Debt and cash. The fund works towards the objective of achieving long-term capital appreciation, by leveraging on arbitrage opportunities on cash and derivatives available in the Equity market. It involves a moderate exposure to Equity and related instruments which currently rests at 25.78% of the total corpus, while the Debt has been set at 33.27% and the cash at 40.95%. Since its start in the dusk of 2014, Kotak Equity Savings Fund has shown a remarkable progress. It has expanded exponentially in the terms of its asset size, which now rests at Rs. 1,996 crore as of 30th April, 2018. The per unit break up of its assets, or the NAV, was recorded at the value of Rs. 13.3813 at 24th May, 2018, after experiencing a hike of 0.20% from its previous value. As far as the returns are concerned, the numbers look fairly surprising for a fund this young. Till date, returns worth 8.39% have been billed under Kotak Equity Savings Fund (G). Twin Advantages of Equity and Debt :This is undoubtedly the healthiest benefit of choosing a balanced fund, as you get to taste both Equity and Debt investments through a single fund. In the strategy followed at Kotak Equity Savings Fund (G), a good mix of Equity, Debt and cash has been followed that allows a good amount of diversity to pitch in. Controlled Risk Exposure :Though it seems appealing when your returns surge in healthy market conditions, but at the same time they could plummet down under adverse conditions. To avoid this and maintain a subtle approach in investment, it is required to add stability to the portfolio which can be easily conquered through Kotak Equity Savings Fund. Automatic Rebalancing :While in pure Equity investments there is a constant need to monitor the market and accordingly arrange the funds in the portfolio, the balanced funds get automatically rebalanced by the fund managers due to the presence of both Equity and Debt. Hence, you yourself don’t have to worry about buying more Debt and selling Equity in risky conditions and vice versa.